Giorgetto Giugiaro set new standards in concept and design with the beautiful Medusa in 1980. 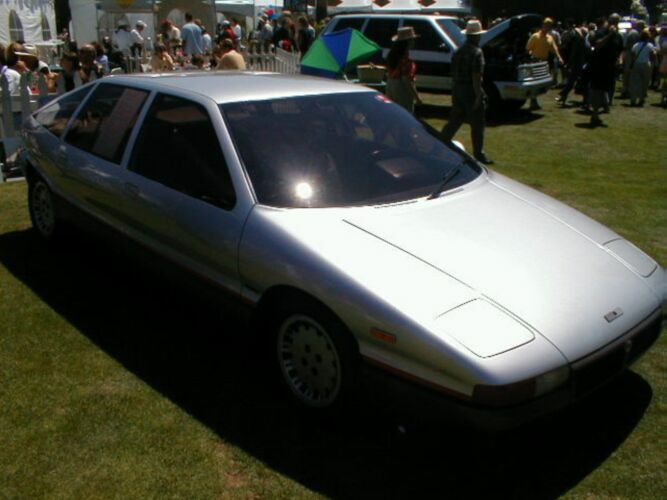 It was first shown at the Turin Motor Show late 1980. This full four-seater saloon making use of the midship-mounted Beta Montecarlo drivetrain with definitively the almost complete Montecarlo rear end; four doors in a mid-engine car was a very unusual concept! It was a careful aerodynamic design with a Cd value of 0.26 and a wheelbase of 2790 mm, 49 cm more than the Montecarlo. The Medusa never got beyond the concept stage. 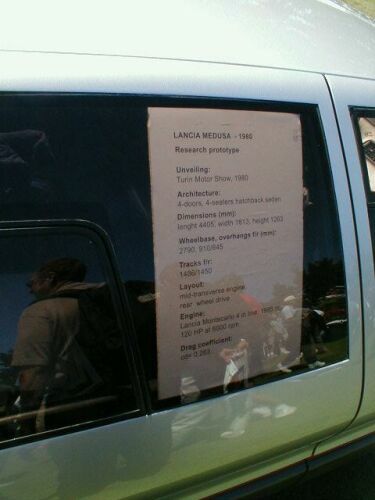 According to Wim Oude Weernink, the Lancia authority, who drove the car in 1980: the Medusa was a functional concept car, but without any road manners. The roomy interior and odd yet balanced proportions make it a Giugiaro masterpiece. 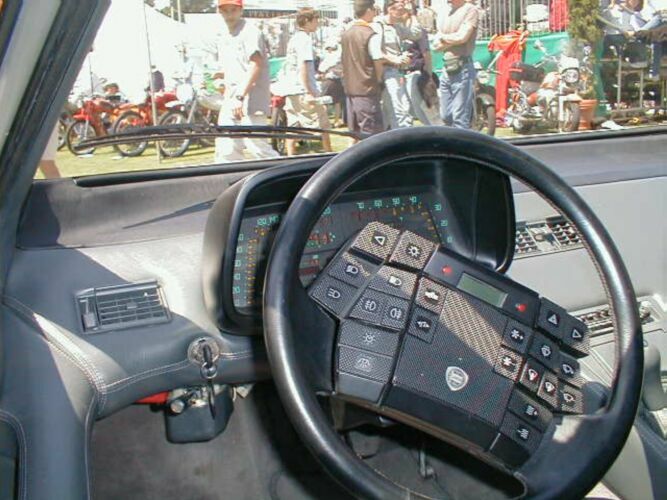 In 1979 he decided to design a car that looked up to date but not startling, yet incorporated his latest thinking while remaining visually attractive. He set himself a target Cd of 0.25, which at the time was extremely low for a production car. Although many concepts and mock-ups had archived significantly less in the wind tunnel, these were impractical, little more than styling exercises; the economics and techniques used in production meant that no mass-produced car had achieved anything like this. To add to the challenge, Giugiaro insisted that the design was roomy enough to accommodate four in comfort, and of course roominess and slipperiness are at odds. Giugiaro felt that the answer lay in rounded forms, an idea that was then prevalent in car styling. 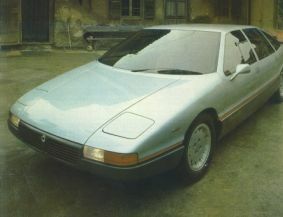 To show how it could be achieved, late1980 Giugiaro unveiled the Medusa with a Cd of 0.263, the car that incorporated all of his philosophy. The clay model actually achieved a Cd of 0.255 but when it came to building the car, additions like wing mirrors, a radiator, indicator repeaters and ventilation network caused it to register a higher reading. Even so it had the distinction of being the most aerodynamic saloon in the world, using production mechanicals. Today it looks commonplace, but this is because so many of its features and styling cues have been copied; in 1981 everybody wanted to know more. Foremost among them was John Delorean, who went on to use Giugiaro for a number of projects including of course, the DMC 12. But one thing that has never been copied and remains unique to the Medusa is the big indentation/ scoop along the side above the bumpers. Giugiaro achieved his goal by starting with a largely elliptical outline, and using very rounded lines throughout, something that contrasted with his earlier use of sharp lines and hard edges. The car was very low at 51 inches, lower than a Citroen CX which for many remained the benchmark, but with a much cleaner profile than the French offering. At 14' 3" long and 69 inches wide it was also smaller than the CX. It's still an attractive car, and few would know that it was based entirely on the Beta Monte Carlo. Yet for all the emphasis on 'roundness' there are many straight lines and sharp edges to give it dynamism (especially the window in the C-pillar which is triangular and connects the level of the waist-line to the higher rear spoiler). Apart from the necessary door mirror (itself the optimum shape and in the optimum position) there were hardly any external protrusions whatsoever. The door handles lay flush, there were no rain channels, indicator repeaters were inset in the front wings, and the windows lay flush with their frames and the doors rolled gently upwards into the roof for the smoothest possible shut lines. This was a Giugiaro innovation and this type of door (viz. cuts into the roof) was quickly christened 'the autoclave'. 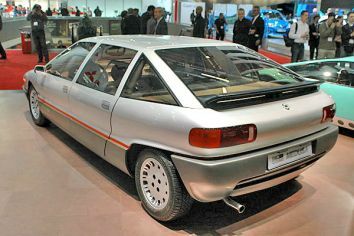 It was later used by Giugiaro in production for the Fiat Uno, Nissan Micra Mk I, Renault 21, Saab 9000 / Lancia Thema / Fiat Croma, and the Isuzu Piazza. 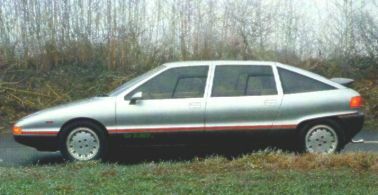 Pininfarina adopted this principle for the Alfa 164 and Bertone used it for the Citroen XM, while Fiat, and IDEA used it for the Tipo and Tipo based cars such as the Alfa 155 and 145. The bonnet had a tiny lip at the trailing edge to deflect air up the windscreen and over the (surprisingly small) roof. Even the wheels were designed with airflow in mind. But the biggest aerodynamic aid wasn't in the detail; it was simply that the lower section of the bodywork was slightly wider than the upper half. Doing this achieved a number of things in one stroke. First it helped aerodynamic efficiency in its own right. Secondly it eliminated the need for wheel protection (thus no wheel arch lips or bulges) and thirdly it masked the fact that the chassis rails had been significantly spread to increase passenger room. 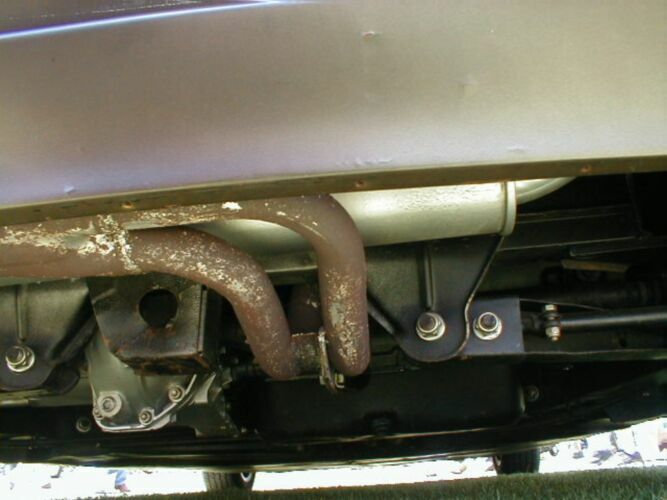 The profile of the car rises from its low nose to its slightly kicked up tail, and (if you include the bumper sections) runs unbroken along the whole length the car, meaning that wake distortions were all but eliminated. There was no front spoiler - just a vestigial lip, and an undertray made sure the underside of the car was smooth and unobstructed. Where possible lightweight materials were used. The essential bodywork structures formed the door openings and front and rear pillars, and the doors latched directly to the bodywork. Everywhere possible, panels were laid flush and butted up very close to each other, even the leading edge of the roof rolled gently down to the screens. Giugiaro claimed that with some minor tweaks he could easily achieve his 0.25 target, especially if he ditched the mid-engined Montecarlo layout and went for a front-engined configuration, even though that would demand a longer nose. 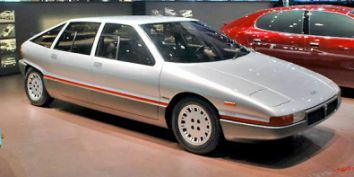 Giugiaro in fact considered using a Beta Coupe as the basis for the Medusa but felt it was politically inappropriate, because it might look as if he were suggesting the Beta's replacement. It was probably for similar reasons that the Medusa never made it into production, but it created a sensation, and generated an inordinate number of inquiries. Elements of it appeared in many subsequent Italdesign models, and if its lines have since become familiar, this is because so many elements of its design cues have cropped up time and again in European and Japanese saloon cars. Still, they say that imitation is the sincerest form of flattery and in terms of getting the message across it achieved its objective. It remains a fascinating and significant car, one that Italdesign (and Giugiaro in particular) always include in their list of significant milestones, and one which they regularly refer to and quote. At one stage it was virtually permanently on display somewhere but it hasn't been seen for a while, though it was recently in the Mito-macchina exhibition in Rovereto. Having done its job, where is it now? The MART museum in Rovereto, Italy had a special exhibition for special car designs in the early months of 2007. 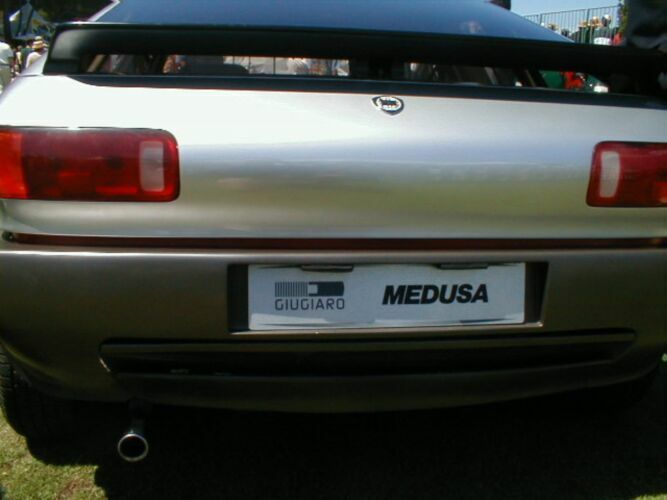 Among the 70 cars displayed was, of course, the Medusa. In March 2008 the Medusa was on display with Giugiaro at the Geneva Motorshow. The first time the car was seen in the USA.